Have More Success with Herbal Remedies! Scroll all the way to the bottom of this page and click on "Free Preview" in the green box. Click here for a help video. and other herbal evaluation skills. We will have many herbal tinctures on-hand to enhance the learning experience! Co-Authors with Matthew on the book "Traditional Western Herbalism and Pulse Evaluation," will be joining forces with Matthew again to teach this epic class! Francis Bonaldo will join us in July and Phyllis Light in August. Location: Minnesota Landscape Arboretum AND Online live broadcast. All purchase options include access to recordings. Dates: July 26, 27 & 28, August 23, 24, 25 and October 18, 19, 20. The “animal medicines” are the most profound teachings about materia medica. They are included, partly because this is an advanced class and partly because they offer a constitutional basis for practice. This class will emphasize the pulse, since Francis was a major contributor to our Pulse Evaluation book (required for this class). With the pulse we emphasize the skin, its heat or lack, oiliness or dampness, and the overall condition of the thermoregulatory system, which shows forth through the skin. Matthew will introduce the doctrine of animal medicines and the reason for their importance in developing our vital, animal, energy, etheric, or light body --- however phrased. This also introduces us to our animal self, the basis of accurate dreaming. Francis will contribute his own insights on herbal remedies. Both teachers will give specific pulse and tongue indications for specific remedies. "My two areas of study in recent years have been Culpeper's English Herbal (the classic of Western herbalism) and the Yellow Emperor's Classic of Medicine (the Bible of Chinese Medicine, 2000 years old). In addition to pulses, the old doctors knew how to just "look at a person" to diagnose (this includes observation of face, neck, forearms, lower leg and more to assess overall quality of blood flow), so I want to share some insights regarding observational diagnosis in old Chinese Medicine which are essentially absent from the modern practice." Phyllis and Matthew have long collaborated on their knowledge of endocrine and reproductive evaluation and healing. We will be emphasizing this in both our teachings on evaluation and animal medicines. This third weekend we will take the time to further explore the animal medicines touched on in the first weekend. We will also practice and hone Pulse, Tongue and Facial Assessment skills taught in previous classes with fellow students, volunteer clients and one or more online volunteer clients. We may have a surprise guest teacher... stay tuned! Class will be held at the beautiful Minnesota Landscape Arboretum. Admission is included with purchase. More details for attending students are in the welcome section below. All options include 2 year access to online recordings of the event. This time-period begins the date that the final recording is posted (not from initial registration date). Access to the Intermediate/Advanced Facebook group is also open for all students of this course. More details are in the Welcome section. All In-Person purchases include the option to attend online. This is helpful in the case of illness, work schedule, travel conditions, etc. With the In-Person with Online Option you are reserving your seat in the class. Seats are very limited due to this being such a hands-on, intensive class for teachers. We highly recommend attending this class in-person if at all possible. It is best to signup and reserve your spot ASAP. When the class fills we will start a waiting list. Options for online only classes are just that - for online attendance only. Attending live, online gives you the ability to ask questions real-time. You have access to recordings as soon as they are available (within 1-2 weeks of filming), bonus material and the unedited content. Sometimes there are side conversations that are not good enough audio quality for recording or appropriate for posting publicly, but as a live online student you may be privy to these experiences. This is the second best option to attending in-person as you can ask questions for clarification and participate in real-time. The online class is run very similarly to the monthly, online classes. Very detailed instructions are given in the Welcome section. Previous students have had great success with this system. "How do you convey pulse over video?" Our instructors are experienced at teaching this content and are working ever more creatively on how to more clearly describe the sensation of pulses for in-person AND online students ex. through sound, other sensations, visuals, etc. We will also have extra cameras and sound equipment to catch extra footage for in-person and online students to reference for review. Long distance learning of Pulse Evaluation - NEW AND IMPROVED! The best way to study pulse taking is to feel it in your fingers. To facilitate this kind of experience, the Matthew Wood Institute of Herbalism is introducing a new way to study pulses online. We are encouraging people to form small groups, two or more, to follow the lectures online and then work with each other simultaneously. The teachers will field and answer questions from the online followers as well as from in house students. How it works: Select a host student who will purchase the "online seat”. This person will organize and host other students at their house on the day of class. This enables students to divide the costs of the course and allows for students to have "practice buddies" to work with. The host is responsible for dividing the cost of the "online seat" as they see fit. We highly discourage hosts from giving out their login information for the Matthew Wood Institute of Herbalism as anyone given access would have the ability to purchase courses - the Institute will not be responsible for such mishaps. We do however, encourage students to gather with the host to view, review and practice! Non-host students can earn a certificate by paying a $35 fee to the Institute (contact us here) to have access to online testing for this course and certificate processing and administration. Note, this is the price that the Course will be after all content is posted. This course will be a 2-year rental for $900. The price will not go down in the near future. Payments are withdrawn from the same date (ex. 1st, 4th, 25th) of the first payment. Please note that payment may be withdrawn early in the case that the payment process date falls on a Sunday, holiday or final date of the month that does not exist in the following month (ex. 31st). Payments will automatically cease to be withdrawn after the final payment. Any disruption in regular payments may result in forfeiture of seat. Please contact us as soon as possible if there is an issue with payment. We will work with you however it is reasonably possible. It is our desire and need, of course, to be paid, and for you to receive this amazing learning experience! Payment plans are available until April 30th midnight Central Time. Travel, Accommodations and Food ARE NOT included in the the class. We are providing some information to help you with your plans. We are not affiliated with any of the following venues. 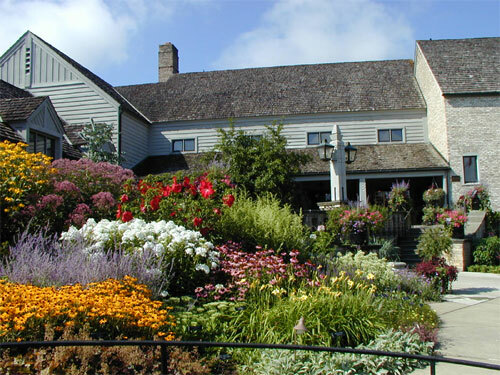 The Minnesota Landscape Arboretum (3675 Arboretum Dr, Chaska, MN 55318) is about 25 miles from the MSP Airport. Map Car rental is of course an option. Alternatively you might use the Uber and Lyft services - their maps show they service to Chanhassen/Chaska. The nearest hotels are Holiday Inn Express (new - near the highway) and Oak Ridge Conference Center and Hotel (older - in a beautiful nature setting). Both hotels are less than a 5 minute drive from the MN Landscape Arboretum - see map. Air B&B is also an option that students of previous classes have utilized. To be closest you'll want to stay on the North side of Chaska, the West side of Chanhassen, the East side of Victoria or the South side of Excelsior. The Discussion section in the Welcome section under "Curriculum" below is available for you to use to help communicate with other students to arrange travel to/from airport and class. Your inquiries and subsequent answers help others who may ask the same questions - saving us from answering the same question multiple times - so we really appreciate your participation in the Discussion section! Local food options are in the welcome section: bring your own, on-site cafe and nearby co-op and farm-to-table options. While the MN Landscape Arboretum is a bit of a drive from the airport, it is a great location for these classes - we hope you think so too! We also hope that this information will help you greatly as you arrange your travels. If there are travel questions that are too private or not applicable to the Discussion section feel free to contact Tara at hello (at) woodherbs (dot)com for assistance. If you have any questions that are not addressed here or in the HELP please do not hesitate to contact Tara at hello (at) wood herbs (dot)com or via the envelope image/link at the bottom right of this page. Purchase of in-person or online attendance is not refundable - unless, of course, in the extremely unlikely case that the event is cancelled. Purchases may be transferred to another person (payment for reimbursement is the responsibility of the original purchaser) or applied to other current online courses. Transfer is not available for potential future in-person classes. This policy overrides that of the HELP page - Satisfaction Guarantee 30-day policy. Please contact Tara at hello (at) woodherbs (dot) com to make transfer arrangements. 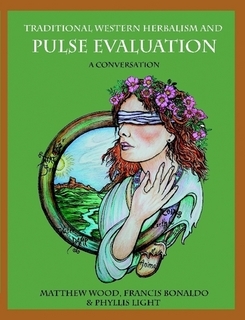 "Traditional Western Herbalism and Pulse Evaluation: A Conversation" by Matthew Wood, Francis Bonaldo L.Ac. and Phyllis D. Light M.A. is required reading. Purchase the book here. The 2017 Tongue and Pulse Evaluation course is a preliminary version of this epic course being offered in 2019. It offers 10 hours of content with brave volunteers who offer closeups of their tongues and helpful feedback. Shamanic Herbalism is a fascinating topic. Gain a solid understanding from one of our earliest courses recorded for the Institute. These courses are in our Library. Learn more HERE. Choose: In-Person with option to attend online or online only. Single payment or payment plan. 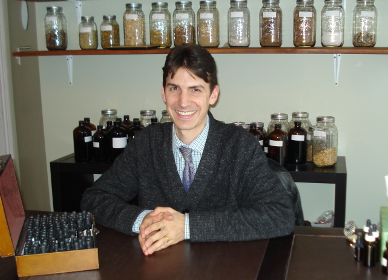 Francis Bonaldo has been a practicing herbalist for 14 years. He served as a member of faculty in the acupuncture department of Rosemont College (Montreal, Canada) from 2011 to 2015. He specializes in pulse evaluation and is co-author of “Traditional Western Herbalism and Pulse Evaluation-a conversation” with Matthew Wood and Phyllis Light. Francis wildcrafts over one hundred plants from the northeastern forests and prairies of the continent for use in his clinical practice and also commonly teaches beginning and intermediate classes in herbal medicine and pulse evaluation. Francis holds a Master of Science degree in acupuncture and oriental Medicine from AAAOM (Minnesota). He has also completed an apprenticeship with Lise Wolff, M. Sc. (herbalist) as well as advanced studies with Matthew Wood M. Sc. (herbalist). A fourth generation Herbalist and Healer, Phyllis D. Light has studied and worked with herbs, foods and other healing techniques for over 30 years. Her studies in Traditional Southern Appalachian Folk Medicine began in the deep woods of North Alabama with lessons from her grandmother, whose herbal and healing knowledge had its roots in her Creek/Cherokee heritage. Phyllis’ studies continued as an apprentice with the late Tommie Bass, a nationally renowned folk herbalist from Sand Rock, Alabama, as well as other herbal Elders throughout the Appalachians and the Deep South. Her well-established reputation and knowledgeable expertise has allowed Phyllis to travel far afield of her Southern Appalachian home, lecturing and teaching about herbs, integrative and complementary healthcare and traditional folk healing techniques. Consequently, she has taught and lectured at herb schools, universities, medical schools, hospitals and health conferences. As a Practitioner, she has experience in both clinical and private settings including working in an integrative medical clinic. As a Consultant, Phyllis manages her own herbal consulting business advising businesses, schools, physicians and manufacturers. 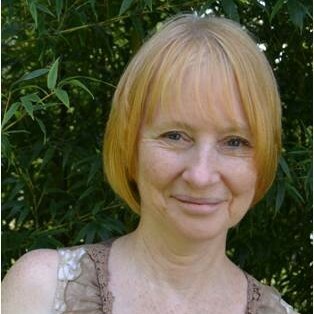 In addition to Traditional Folk studies, Phyllis has studied Traditional Western Herbalism, Nutrition, Exercise Science, Body Work and Energy Medicine. She continues to maintain an active herbal practice. Phyllis has a master’s degree from the University of Alabama in Health Studies (education and promotion) and has taught CEU classes for allied healthcare workers including nurses, nurse practitioners, physical therapists, occupational therapits and social workers. She is a professional member of the American Herbalist Guild and currently sits as secretary of the organization. In addition, she is on the board of directors of the American Naturopathic Certification Board. 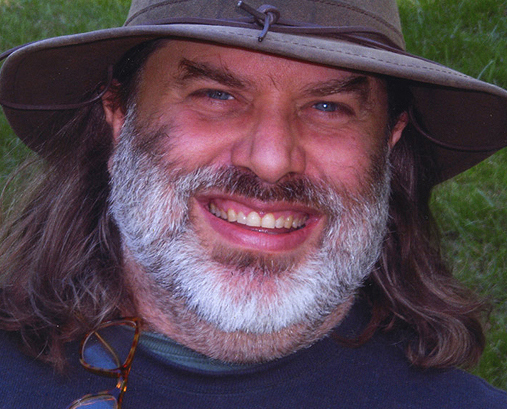 Matthew Wood has been a practicing herbalist since 1982. In a period when many authors and lecturers are merely "arm chair herbalists" who offer theories and opinions based on book learning, and others have turned to the exotic traditions of India or China, he has been an active practitioner of traditional Western herbalism. He has helped tens of thousands of clients over the years, with many difficult health problems. While Matthew believes in the virtue of many other healing modalities, he has always been inspired to learn, preserve, and practice the tradition of herbal medicine descending to us from our European, Anglo-American, and Native American heritage. He is a member of the American Herbalists Guild (registered herbalist) and has earned his Masters of Science degree from the Scottish School of Herbal Medicine (accredited by the University of Wales). Discussion Section to Arrange Rideshare, Accomodations, etc.